As its name suggests, the focus of appointment setting is to make an appointment with someone who meets a set of basic criteria. The assumption of appointment setting is that if someone is open to talking, then they will be amenable to a sales conversation. In this way, the focus of appointment setting is to book as many appointments as possible. On the other end of the spectrum is the role of a SDR. A SDR is focused on delivering Sales Qualified Leads (SQLs) to the sales team. In this vein, while SDRs are focused on setting qualified appointments, their key objective is to set appointments that will lead to sales. To achieve their objectives, SDRs spend more time asking questions and ascertaining the lead's level of interest in purchasing products or services. As noted in the previous section, another major difference between a SDR and an appointment setter is the depth of the conversation. In appointment setting, the focus is on setting the appointment; as such, the conversation doesn't have a lot of depth. Instead, the "sale" component is to set the appointment. This means that appointments can easily be set with prospects who are not actually ready to either begin their buyer's journey or make a purchase. Conversely, a SDR is focused on having a more in-depth conversation. To this end, a SDR will ask more detailed questions so that they can better ascertain the pain points, objectives, and key selling points for the potential lead. Additionally, the SDR will approach each call as the "discovery phase" portion of the sales funnel, which means that they will also complete an initial assessment of the lead's needs, wants, challenges, and desires. All of the information that a SDR gathers can then be used to complete a sales profile for each lead. Additionally, the extra details that a SDR gathers will help a sales team more effectively identify the person (or persons) that are responsible for vetting and eventually purchasing your solutions. In this vein, a SDR helps to eliminate unnecessary conversations with non-decision makers. Since the focus and depth are different, it should come as no surprise that appointment setting is a more simple process. The appointment setters work from a list of contacts with the goal of setting as many appointments as possible. Once the appointment is set, it is then turned over to the sales professional or Account Executive. On the other end of the spectrum is sales development. A SDR completes a far more complex process. In fact, the SDR and Account Executive will work hand-in-hand to ensure that there is a smooth transition for the high quality lead. For example, the SDR might work to connect with and establish a relationship with the COO of an organization. However, in order to eventually connect with the COO (who is the decision maker in this example), the SDR might start with a person who has a lower rank within the organization. After speaking with this person and having a more in-depth conversation that focuses on the unique needs of the organization, the SDR will be able to set a meeting with the COO. The meeting will be attended by both the SDR and the Account Executives. After a successful meeting, the process will restart until the SDR has connected with the COO, at which point the Account Executive will take over the sales process. The last (and perhaps largest) difference between a SDR and an appointment setter is the impact of the two roles. As a general rule of thumb, appointment setters tend to generate more activity. Every sales leader loves more activity, right?!? But that's not always the key to more sales! It is important to note that this activity doesn't necessarily mean that appointment setters are creating more sales qualified leads for your sales team. As discussed in the sections on focus, depth, and process, the challenge for appointment setters is to set appointments with individuals who are actually interested in the sales process, and not just saying yes to a meeting. On the other hand, a SDR often has a larger time commitment and inevitably investment in the entire sales process. A good SDR can set appointments with individuals who are not only interested in the sales process, but who are qualified and ready to buy. Through a heightened focus on high quality leads, as well as more in depth conversations, and a more complex process, SDRs are more likely to generate greater ROIs. Finally, a motivated SDR can help businesses to more effectively manage their sales resources as they fine tune their sales development process to achieve better and more predictable results. While there are four key differences between a SDR and an appointment setter, it is important to note that they both play critical roles for businesses. 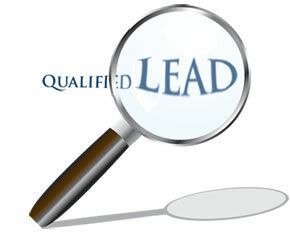 An appointment setter is qualified to help generate a large amount of leads. An SDR is the go-to person to begin a complex sales journey that requires patience, tact, and business acumen so they have the ability to ask the right in-depth questions. However, with the right sales coaching, both individuals can be valuable members of a sales department.